Your email address is precious to you. You use it everyday for communication at work, with friends and unfortunately, companies that want to sell or use it for advertising purposes. 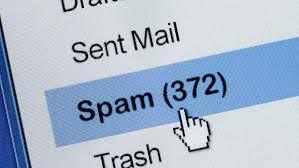 Once your email address is put on a list or sold, it becomes uncontrolable and the flood of spam email starts rolling in. You want that coupon for a free burrito, or you want to know your future by getting your horoscope, you need to provide an email address to get this life changing information. But, nothing is ever free, and your email address has just been sold to several mailing lists. Companies want your email address, its valuable information for marketing purposes and its also valuable to you. You want to protect it, but in order to transact anything on the internet, you have to offer a means of communication. That communication link, is your email address. So how do you keep that email box clean of all the slimy credit card offers, or ads for dating services, miracle cures and other ridiculous things. One way is to create an alias at your email provider. An alias, is simply another email address that links to your current email address. For instance, if your email address is someone@gmail.com, then go to gmail and create an alias of someonespam@gmail.com. The email will end up at your email box, but as that email becomes deluged with spam, you can simply delete it and create a new alias and start fresh. Your original email address is still in tact and protected for friends and family to use. The disadvantage is that you must setup an alias ahead of time, or the email wont get to you. You cant just create the alias on the fly and expect things to work. You can also create an alias on the fly with gmail and track who is giving out by adding a modifier to the address with a + sign. For instance, you give someone an address of youremailaddress+modifiername@gmail.com. That + modifier address will simply make it to your email box, but if you start getting a lot of spam to it, you know that company or person started giving or selling your address to a list. That may be enough to get you to stop using that company in the future. This is also a good way to filter emails into a specific location in Outlook. Create a rule using the modifier and if an email comes in using it, you can force the email to another location or folder automatically. That keeps your inbox clean. Some forms wont allow a + sign and this may not work in that case. Another option is a disposable email address. The advantage is that this email address does not need to be setup prior to using it. One example is www.mailinator.com. Simply create any email address you can think of, and then go to that site and type in the address you used to get it. You need to format it like anything@mailinator.com. You wouldn’t want to use this email type for confidential or similar purposes though, because anyone can access the email alias “anything” you chose at any time if they think of the same one. There is little or no security in this type of address, but it keeps your inbox clean in case an unscrupulous vendor decides to market your address. So these are a few ideas to help you prevent unwanted spam in your inbox. Prevention is the key, since filtering after the fact, is a difficult process. Using modifiers and temporary, or disposable addresses allow you to simply delete that address later and stop the flow of spam into your original email address. Windows 7 – Interactive Services Detection Popping Up Constantly. Router Safety – Must Do’s!